After completing his studies in the field of Food Chemistry at the Technical University of Berlin, in Germany, and obtaining a Doctorate Degree, he decided to carry out his post-doctoral research study at the University of California, Davis, USA. In 1986, he was also granted the “Deutsche Forschungsgemeinschaft” (German Society for Research) scholarship. In 1995 Professor Wittkowski qualified as a post-doctoral lecturer in Food Sciences and Biotechnology at the Technical University of Berlin. Since 1990, he is the Head of the department specialized in “Wine and other Beverages” at Max-von Pettenkofer- Institute of the Federal Health Office, as well as at the Federal Institute for Consumer Health Protection, and also at the Veterinary Medicine. He finally assumes the position of Head of the department of “Analytics” at the Federal Institute for Risk Assessment. In addition Professor Wittkowski is a non-scheduled professor (APL-Professor) for Food Chemistry at the Technical University of Berlin, a member of the Wine Research Committee of the Federal Ministry of Food, Agriculture and Consumer Protection (BMELV) and a member of the Advisory Board of the Committee of the German Institute for Standardisation (DIN) for Food and Agricultural Products Standards (NAL). 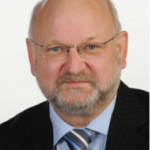 He is also the German deputy member of the scientific council (Advisory Forum) of the European Food Safety Authority (EFSA).